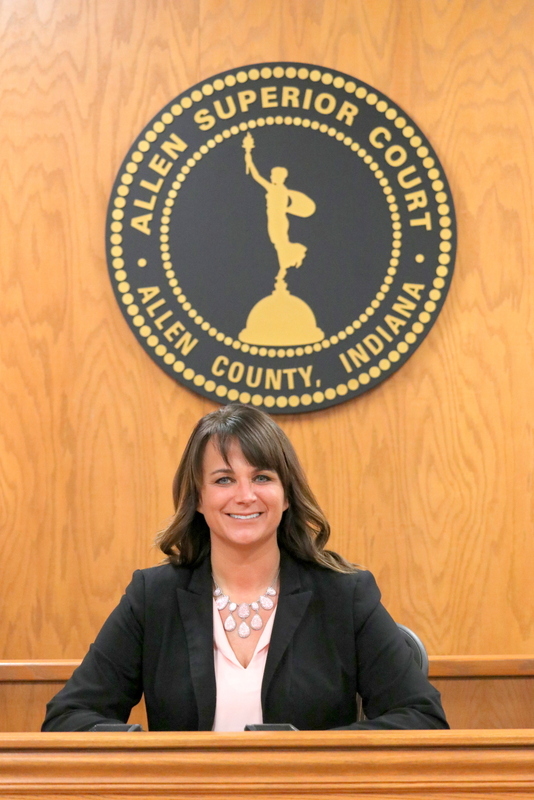 Greetings and welcome to the website for the Allen County Juvenile Center (ACJC), which is located at 2929 Wells Street., Fort Wayne, IN, 46808. The ACJC facility was constructed during 2003 and 2004 and opened for public business on June 14, 2004. Construction took place under the leadership of then Judge Stephen Sims. While the ACJC is a secure detention facility, it is also much more. For example, there are two schools within the ACJC: one for the young people in secure detention, and the other is the Allen County Learning Academy for students expelled or suspended from area schools. Licensed teachers teach in both the secure detention school under the auspices of Fort Wayne Community Schools while each of Allen County’s 4 public school districts provide 1 teacher for the Allen County Learning Academy. Trained Youth Care Workers oversee the safe movement and oversight of the children in secure detention at our facility. The ACJC houses our very important Probation Department with its Intake Department, Electronic Monitoring (EMP), Detention Alternative Programs (DAP), and our North Regional Probation Office. There is also a South Regional Office at 2211 Fairfield Avenue in Fort Wayne and an East Allen County Office at 925 Main St., in New Haven, Indiana. An average of 65 children are kept in secure detention daily at the ACJC while another 700 or so children are on some form of conditional release and/or probation on a daily basis as well. Court hearings also take place here, including juvenile delinquency proceedings (see the “Court Process” tab on our home page) and paternity and child support hearings conducted under the auspices of federal law known as Title IV-D.
At the ACJC we strive to keep our community safe but at the same time look for ways to rehabilitate and redirect delinquent behavior in the best interest of children with whom we come into contact. A great leadership team here at the ACJC, is in the throes of implementing numerous special programs designed to lower the number of children placed in secure detention and also to prevent the causes of juvenile delinquency.